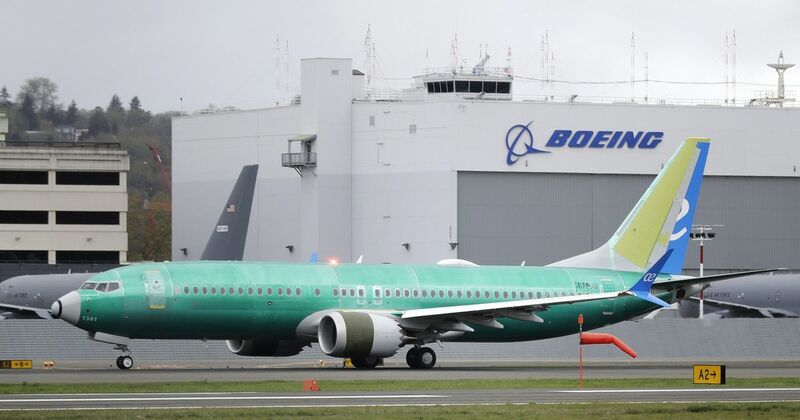 A federal class-action lawsuit accusing Boeing of hiding key information on the safety of its 737 MAX jet has been filed by a Boeing shareholder. The suit against the Chicago-based company, filed Tuesday by Richard Seeks in a federal court in Illinois, seeks unspecified damages on behalf of shareholders in the wake of two fatal crashes of the plane. It alleges that Boeing “effectively put profitability and growth ahead of airplane safety and honesty,” misleading investors about its core commercial-airplanes operation. The suit follows the Oct. 29 crash of a Lion Air 737 MAX and the March 10 crash of an Ethiopian Airlines 737 MAX that killed a total of 346 people. Investigators have preliminarily traced both crashes to a new flight-control system called the Maneuvering Characteristics Augmentation System (MCAS). Boeing hid from investors and passengers that it “prepared its own reports and statements to the FAA certifying its planes as safe to fly and that these statements and reports were undermined by Boeing’s conflicts of interest in having been delegated authority by the Federal Aviation Administration (“FAA”) to examine, test, and help certify its own planes and to provide the safety analysis for the 737 MAX,” the suit alleges. As events unfolded, including reports of a federal criminal investigation and the cancellation of orders for the jet, Boeing shares dropped from record levels above $440 in February to $372 as of March 21, damaging investors, according to the suit. Seeks bought 300 shares in early March that he sold in late March and early April at a loss of about $14,000, the suit says. In addition to Boeing, the suit names Dennis Muilenburg, the company’s chief executive officer, and Gregory Smith, its chief financial officer. Boeing, which is working on fixes to the grounded jets, declined to comment on the suit. The company already is facing multiple lawsuits over the deaths in the crashes. In addition to the criminal investigation, the Department of Transportation’s Inspector General has launched an audit of the certification process for the jet.